Free movie shows that can only be viewed through a peephole in the street have been delighting New Yorkers. The Peephole Cinema – which screens vintage and new short films – is the brainchild of artist Laurie O’Brien and is currently installed at Union Ave, Williamsburg, until November 20. The films are available to watch anytime of the day or night, and O’Brien particularly enjoys seeing the reactions of viewers, saying: “I love it when someone walks by and discovers the cinema by accident. “I have witnessed this magical moment when I happened to be standing nearby. It is the squeals of delight that really makes my heart swell. I am sure that it happens all the time but I don’t get to witness it. 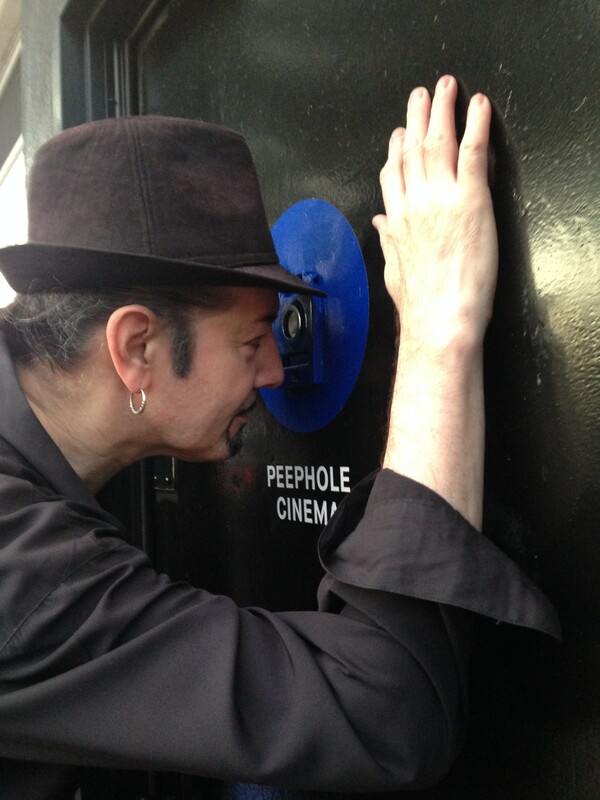 O’Brien set up the first Peephole Cinema in San Francisco in 2013 to screen short films that were not well known, and to create something small as a reaction against the trend for enormous artworks. She says: “I wanted to create a project that people had to discover. The process of peering or peeping is intimate and influences the viewer’s frame-of-mind to be geared toward inspection as opposed to passive viewing. 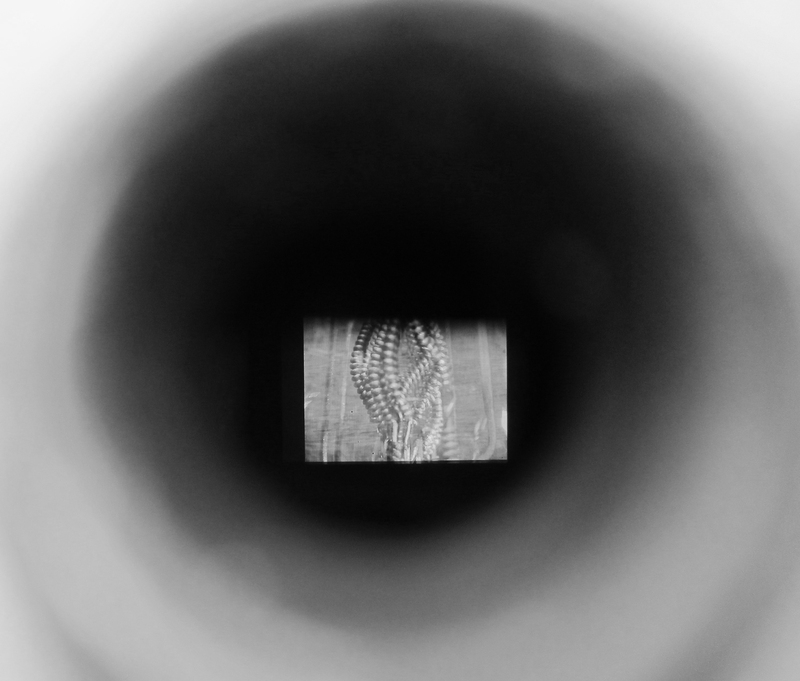 The films – which are largely chosen by guest programmers – last no longer than five minutes; a deliberate strategy O’Brien came up with after observing the public using Peephole Cinema. 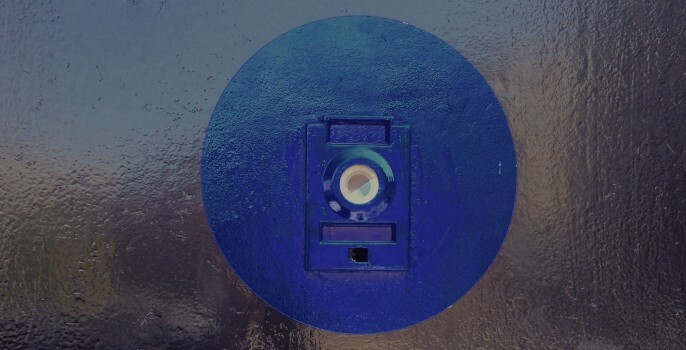 As well as Brooklyn and San Francisco, O’Brien – whose art encompasses video, installation, performance and animation – has also set up a Peephole Cinema in Los Angeles, and is in the process of installing more in several new locations. *Peephole Cinema is at UnionDocs Center for Documentary Art, 322 Union Ave, Williamsburg, 24 hours a day until November 20, 2015.